Allison Siebecker, ND has been in clinical practice since 2006 and a SIBO specialist since 2010. She was the Co-Founder and former Medical Director of the SIBO Center for Digestive Health at the National University of Natural Medicine (NUNM) in Portland OR, where she has been teaching Advanced Gastroenterology since 2013. 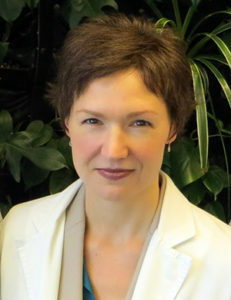 She serves as the only Naturopathic Physician on the GI Health Foundation all-Gastroenterologist IBS Faculty. She co-founded and was the Curriculum Coordinator for the NUNM SIBO Symposium, started in 2014 and the online SIBO SOS™ Summits I-III. Dr. Siebecker is passionate about education, teaching at conferences and on podcasts to practitioners and patients alike. She is an award-winning author and is the author of a free educational website used by thousands daily.